Meet Windsor, the Grumpy Dragon. Windsor is probably my favorite dragon in my wife’s stuffed dragon collection. It might be more accurate to call him mine, because I even found him during our 2009 trip to London. He was purchased from a gift shop inside St. George’s Chapel at Windsor Castle (which is where he gets his name). It didn’t take Windsor long to join the cast of my webcomic The Wildcat’s Lair. What was really impressive was how he managed to find his way into my writing. I wrote a short story called The Big Sneeze, with him as the main character. One day, as I was working on a story with Windsor, I took him to my office. 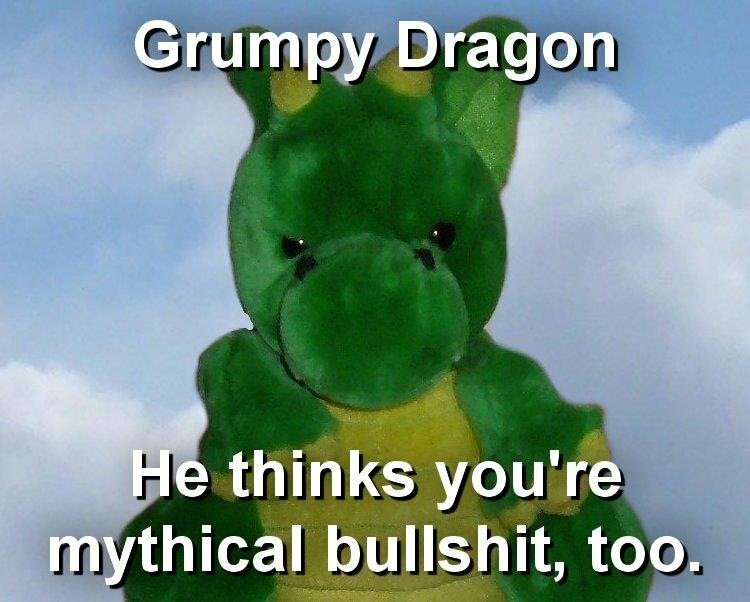 My wife looked at him and said something along the lines of, “You should totally do a ‘Grumpy Dragon’ meme with him, like the ‘Grumpy Cat’.” Less than thirty minutes later, I punched out the first one. After I launched my blog in WordPress, I decided to make Grumpy Dragon a weekly feature.